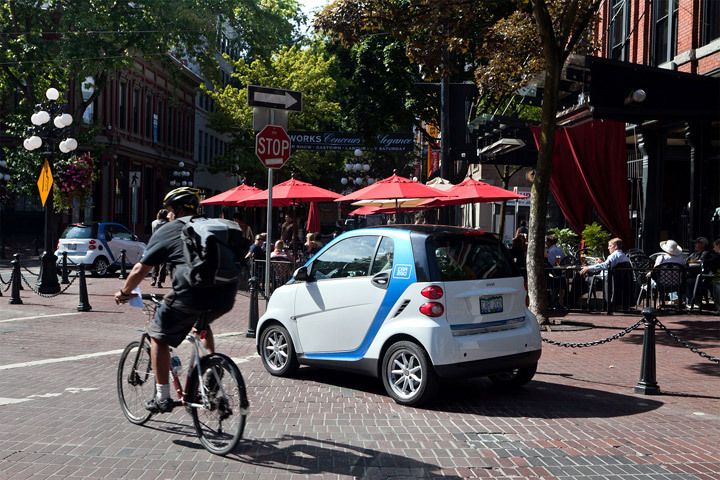 car2go, a company that bills itself as the world’s first free floating carsharing service confirms its introduction in to the Canadian market with 225 vehicles for their new Vancouver fleet. The German company currently has locations in Ulm and Hamburg (Germany), Austin (Texas, USA), and now Vancouver. In actuality car2go is owned by Daimler AG, better known as the Mercedes-Benz Corporation explaining why half their locations are in Germany. It should also come as no surprise then that all car2go vehicles are smart Cars –for those unaware, Mercedes owns the smart brand, and sells them jointly through MB/smart dealers worldwide–. 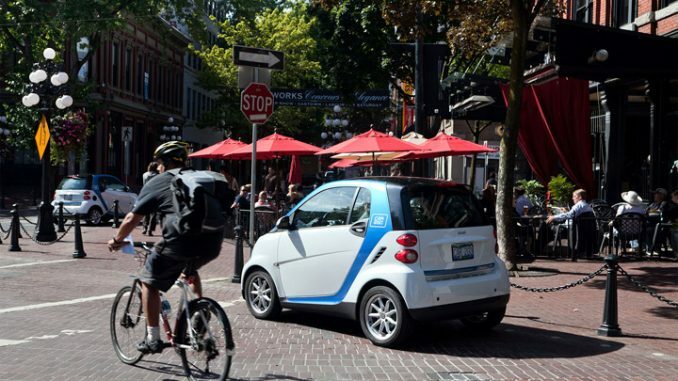 The Canadian car2go service run by car2go Canada Ltd made its Vancouver launch announcement on April 27th. Since then, the service reports that they’ve had about 2,000 Vancouverites sign up for the program. 1. LOCATE A CAR2GO. Pick up the car at a moment’s notice or reserve in advance via internet or telephone. To find the nearest car go to the car2go.com website and click on Car Finder, use a iPhone application, or call our service team at 1.855.454.1002. 2. GET IN. As soon as you hold the car2go member card up to the card reader on the windshield, the vehicle opens. You will find the key attached to the touchscreen and the ignition next to the emergency brake on your right. 3. USE THE TOUCHSCREEN. Before you can start the car, you will need to enter your 4-digit PIN on the touchscreen. The next step is assessing the cleanliness of the car, choosing the billing account, and then accepting the Terms and Conditions. You can now start your car2go. Feel free to use the GPS navigation system and tune the radio to your favourite station. 4. DRIVE OFF. Start the car and drive to the destination of your choice. Remember if you leave the operating area, you will be billed normally until you come back and complete the rental. 5. PARK. Parking the car2go is easy, but finding parking is even easier. Free curb side and dedicated venue parking for extended stopovers and when ending rentals are conveniently located in numerous specially marked areas within the Vancouver operating area. In the residential areas, curb side parking is available in any legal permit only residential spot. In busier areas, additional dedicated parking is available. The City of Vancouver has a goal to be the “greenest city” in the world by 2020. In order to reach that goal, the City itself has to get its population to embrace alternative modes of transport. Encouraging carshare programs like car2go, where commuters don’t require their own vehicles within the city is a step in that direction. The service officially kicked off its Vancouver operations as of June18th. Car sharing has really got me interested. Just last night i read a co called Just share it will allow you to share jetskis and boats as well… atlast i can get a feel of a jet ski on my own! !